Opening batsman Dimuth Karunaratne was one of the six players in the world to to score over 1000 runs in Test cricket last year. Sri Lanka will heavily depend on the left-handed batsman. Bangladesh are depending on their spin force led by veteran Abdur Razzaq to deliver the opening punch against Sri Lanka in the first of two Tests starting Wednesday. Razzaq, 35, was the third spinner added to the squad for the match in Chittagong after skipper and star all-rounder Shakib Al Hasan was ruled out with a finger injury. Uncapped left-arm orthodox spinner Sunzumul Islam and leg-spinner Tanbir Hayder are also part of the 16-man squad to be led by Mahmudullah Riyad. “Shakib is the best player, not just in our team (but) he is also the best all-rounder in the world,” Razzak told reporters in Chittagong on Monday. “It’s difficult to replace him because you need to pick a bowler and batsman in his place and still there is no guarantee that they will perform equally good. “I will try to play my normal game without trying anything extraordinary,” the left-arm spinner said. Bangladesh have been a dominant home side after registering memorable Test wins against England and Australia in the 2016-17 season. But their only Test win against Sri Lanka came in their landmark 100th Test in Colombo, when the visitors drew the two-match series 1-1. Sri Lanka, led by Dinesh Chandimal, are upbeat after their recent triumph in the tri-series one-day international tournament. They beat Bangladesh in Dhaka on Saturday. They will also seek inspiration from their 2-0 Test triumph over Pakistan in the UAE last year. However Sri Lanka also have a gap to fill after veteran all-rounder Angelo Mathews was ruled out of the first game due to injury. Manager Asanka Gurusinha confirmed that the team would not seek a replacement for Mathews. Bangladesh and Sri Lanka have so far played 18 Tests against each other, with the islanders winning 15 of them. Sri Lanka will depend heavily on prolific opening batsman Dimuth Karunaratne, one of the six players in the world to make over 1000 runs in Test cricket in 2017. Bangladesh: Mahmudullah Riyad (Capt), Tamim Iqbal, Liton Das, Mushfiqur Rahim, Imrul Kayes, Mominul Haque, Mosaddek Hossain, Taijul Islam, Mustafizur Rahman, Kamrul Islam, Mehedi Hasan, Rubel Hossain, Naeem Hasan, Sunzamul Islam, Tanbir Hayder, Abdur Razzak. 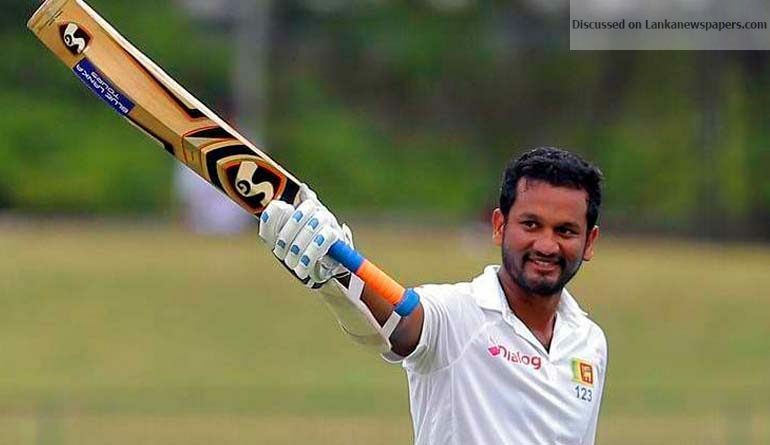 Sri Lanka: Dinesh Chandimal (Capt), Dimuth Karunaratne, Danushka Gunathilaka, Kusal Mendis, Dhananjaya de Silva, Niroshan Dickwella, Roshen Silva, Rangana Herath, Suranga Lakmal, Dilruwan Perera, Dushmantha Chameera, Lakshan Sandakan, Akila Dananjaya, Lahiru Gamage, Lahiru Kumara.